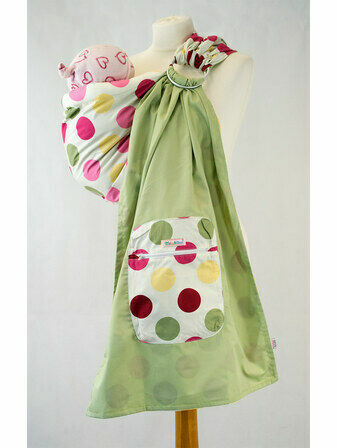 Ring Slings are a convenient, practical and lightweight way to carry your baby. 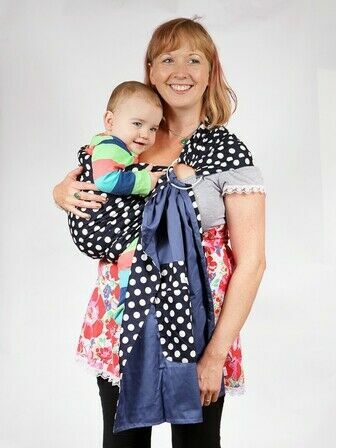 Allowing multiple comfortable carrying positions, babywearing with a Palm & Pond Ring Sling is proven to encourage essential bonding between mum and baby as well as leaving hands free. 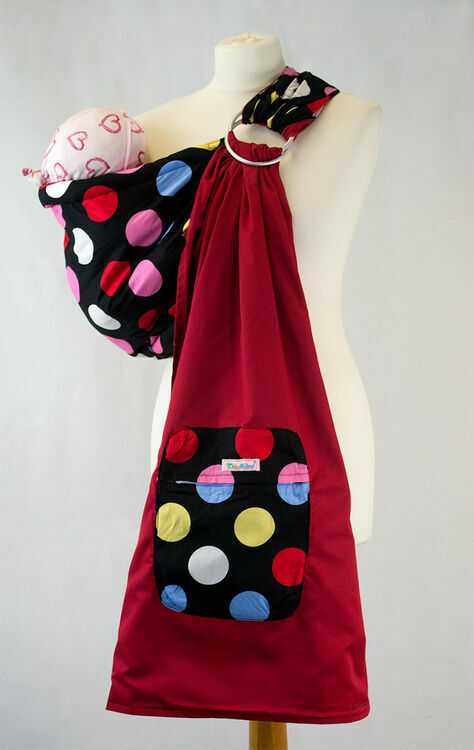 This luxurious soft cotton Ring Sling features padding along the top and bottom to support your baby's legs and head comfortably and includes a hand zippered pocket for storing small essentials. Pocket height is based on the amount of adjustment needed. A looser adjustment will result in the pocket being higher and a tighter adjustment will mean the pocket is lower. If you have a question about sizes, please contact us for more information. 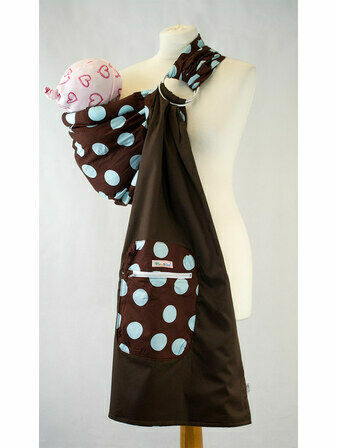 Fab ring sling, wanted to hip carry my 9 month old as was using a stretchy wrap before. Fabric is great and pocket super handy. Quick to put on, need more practice as fabric is hard to pull through rings but I assume with more practice I will soon be pro! I already had a Mei tai sling from here so thought I'd give the ring sling a go. I absolutely love them both. They are very easy to use and the material is good quality and comfortable. Daisy baby shop were very helpful and their communication was great. I would definitely buy from them again. A hooded Mei tai may be ordered from here soon! First time user on this site I stumbled upon by accident. Adore the item I Purchased. It Arrived super fast, No Problems, I've already recommended this site to Fam & Friends. So easy to use at reasonable Prices. Will Deffo be Buying from here again soon. Thank you keep up the good work. Able to soothe daughter and get on with everything else, has since been passed to two other new mums. Great quality. A friend told me about this product and I bought it so easy to use with great instructions my little one lives it. I love this sling! 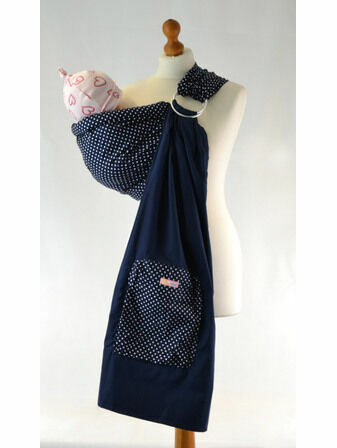 I also have a Mei Tai wrap from Daisy Baby and it was brilliant as well. I moved to a ring sling as my 6 month old has started to get a bit nosey and this sling allows her to look at things forward without me having to put her on my back. Excellent communication from the staff at Daisy Baby too. Thank you. 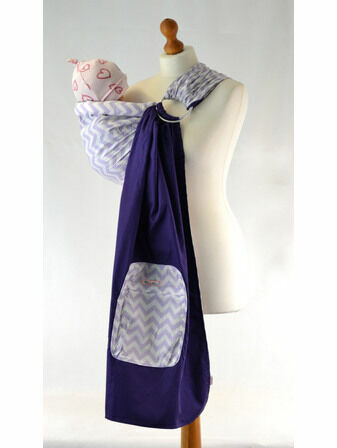 Love this ring sling. Wasn't sure about ring slings at first but as this was cheap and I loved the design I thought I'd give it a go. It's so convenient to use. I wear it all day and just slip my son in and out as needed. Makes doing everything round the house so much easier. It's well made and was delivered really quickly. Love it. Amazing quality, fast delivery (like super fast, it came 2 days later) Easy to use, come with instructions for first time mums/dads baby wearing. Really comfortable. And the pocket is a. God send!! Mum and baby Give a huge thumbs up!! I bought it as a gift for my daughter. This sling looks nice and high quality. I hope she will like it too. Really great sling for good price, arrived quickly and excellent customer service. Great product. Strong and comfortable. Baby is 6 weeks and loves it. I even managed to breast feed westing it with v little adjustment and could still help my 3 year old in the park. Service from Daisy Baby was quick and efficient. Colour of product was different from that shown on the screen - much brighter than expected but still v pretty. I tried loads of different baby carriers with my first baby and brought this as a replacemet for my ring sling when I had my second. 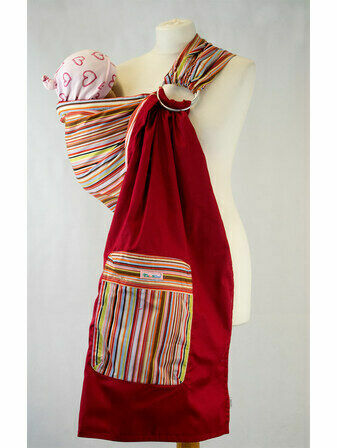 This is a well made sling and the colours are lovely, Ive had lots of comments saying how beautiful it is. Its really simple to use, it's easy to adjust and baby is very secure in it. Ive suffered on and off for years with back issues but have had no complaints when using this sling at all. Definatly the best sling I've used. The sling is of good quality and looks so fantastic. However because I am quite a short person the padding ended up half way round my back so I had to return it and purchase an unpadded one. If I was taller though I would have kept it! I rated it 4 stars for this reason. The sling is lovely, nice fabric and pattern and very comfy to wear. Unfortunately the instructions provided weren't great, no written instructions and just a few blurry images, I had to find instructions elsewhere to use the sling properly. But now we've got the hang of it my daughter and I are enjoying our sling very much. I love this item, have now used it half a dozen times. LO goes in it with ease and have bf in it in public 3 times now. 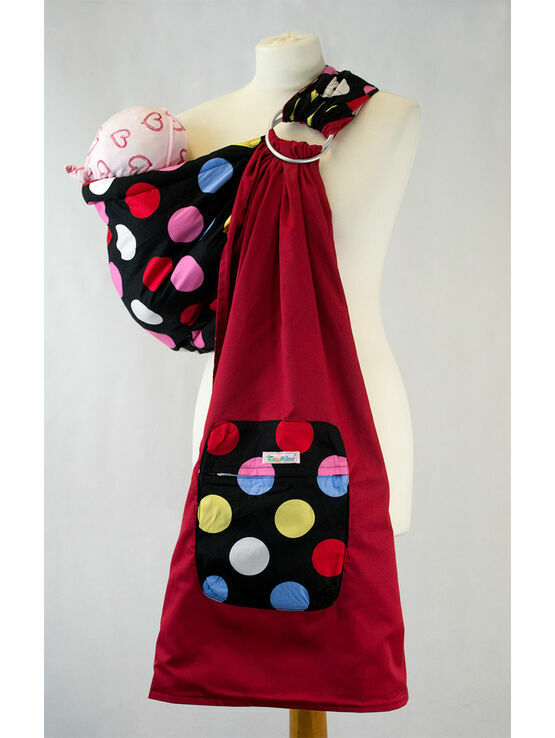 It is secure and discreet for feeding and comfortable for the wearer. I would definitely recommend this product if you are wanting to get jobs done round house with a baby that wont go down much during day, and bf ladies it is a dream so easy to put on and away you go. 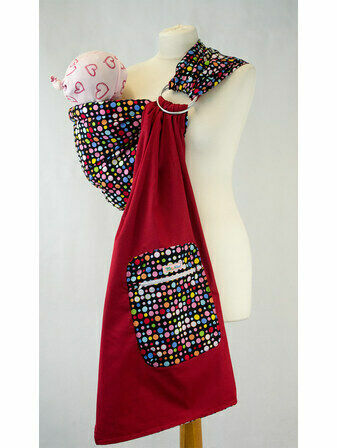 The material and make of the product is also of good durable quality and a bargain at the price of the sling. this will be getting used a lot. The delivery of item was quick and packaged well, will purchase again from this supplier. Very impressed with quality and price. Would definitely recommend. Very pleased with my new ring sling; great quality, beautiful design and all for an amazing price. I would definitely recommend daisy baby shop and will be using them again!